Summer is almost here and it's time to make sure your air conditioning unit is ready for the hot temps we’re sure to see. An annual inspection is always a good idea, and there are even some DIY steps you can take to make sure your system is running in top shape. It may be surprising that the easiest and cheapest of those is replacing dirty air filters. The most important job of your HVAC filters is to protect your system’s coils, motors, and fans from dust and debris. That keeps all the moving parts clear and running smoothly. That, in turn, assures unimpeded airflow in your system, key to top performance, whether heating or cooling. In addition, your filters keep your indoor air clean and fresh. That’s especially true if you have an electronic air cleaner. But all filters capture contaminant and allergens, helping to keep your family healthy and comfortable. Restrict or impede proper airflow. Your HVAC system relies on the correct amount of airflow for both heating and cooling. When that’s impeded or restricted your air conditioner can actually freeze up. Not only will that cause the unit to cool improperly, but over time, it can result in significant damage and expensive repair costs. Clog the blower. This will also impede airflow, affect your unit’s performance, and potentially lead to shut down and a call to your HVAC pro. Affect your indoor air quality. A dirty filter reduces the effectiveness of its ability to filter contaminants and allergens out of your indoor air. You and your family won’t be getting the top benefit of filtered air. That can affect both the comfort and health of your family, especially if any family members have allergies or other respiratory concerns. Overwork your entire system. A dirty filter simply pushes your HVAC system to work harder than it needs to. Even if that overwork is slight, over time it can add up and lead to insufficient heating or cooling, as well as higher fuel and operating costs that could easily be avoided. It’s truly worth the investment of high quality filters that are the right size and type for your system. It can save you worry, expense, and the loss of cooling or heating when you most need it. Keep your AC running smoothly and efficiently this summer by regularly inspecting and replacing your filters. 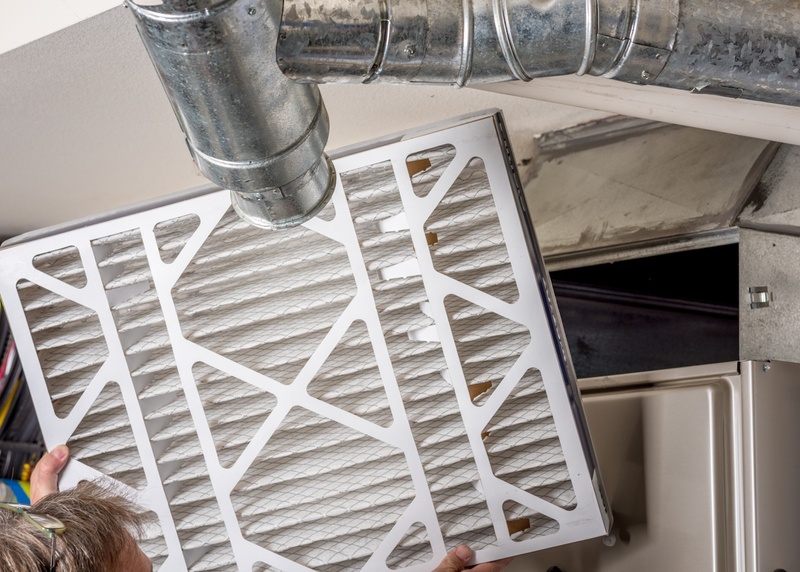 At Stay Comfy we recommend checking your filters monthly and replacing them every 2-3 months, or more often if needed. Doing so will keep you cool this summer and help extend the life of your entire system. What Does the MERV Rating Say About My HVAC Air Filter?